Arya and Sayyesha is the hot pair in Kollywood film industry that got united in a grand wedding event this month in Hyderabad. The pair were in a relationship for quite some time and finally made it official. As per the reports from the Kollywood film industry now, it is heard that they are going to get married again. But, this time, the marriage is not real but reel. Both are coming forward for an exciting project called Teddy. Studio Green is the production house that is bankrolling the project. KE Gnanvel Raja is the producer of the movie. Shakti Soundar Rajan is the director of the film. D Imman is the music director. 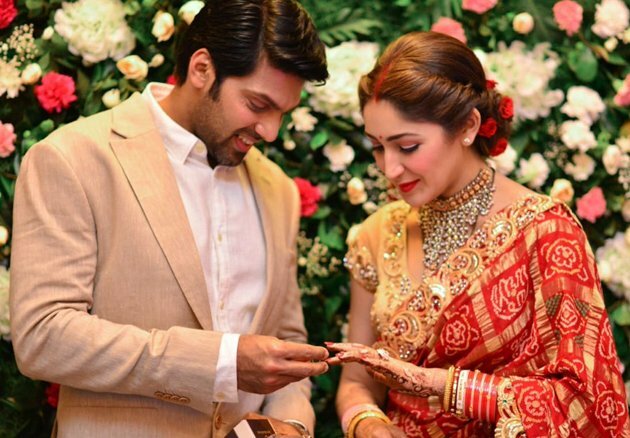 The project was announced on Arya-Sayyesha’s wedding day. The shoot is happening in Chennai and Europe. More details about the project will be out soon.